Watch out for ??? but here is VERY GOOD NEWS! I decided to do a fast update as to the latest news on our website. 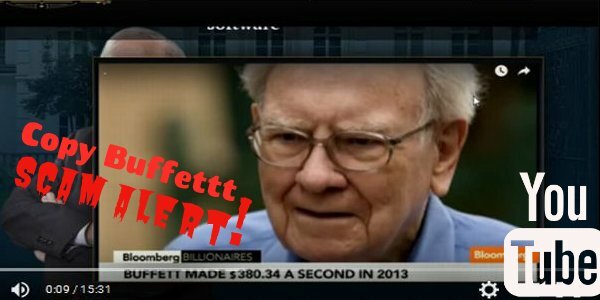 Firstly I want to send out an important warning about a new autotrading scam bot going around unlawfully using the name and likeness of famous investor Warren Buffett. You can watch a recent video we posted on youtube about it for more information on it and on Warren Buffet and his actual trading style. You can also see unfiltered feedback from some of the people who contacted our website about this product. Please guys be careful with these types of offers as they never end well. On a much more positive note we have released an exciting update to the Green Arrow trading strategy. We have added our statistical support and resistance zones to the Green Arrow indicator. These are expected moves based on past statistics re-calibrating every hour. This is part of the new technology we built into the soon to be released Grid and Badder Ladder bundle. That bundle will have more customization ( 5M,1H,2H,4H zones) and is designed for exchange trading but the zones are very helpful to us and we wanted to include the fixed one hour ones in Green Arrow so that everyone who has been trading this strategy can make use of them on their chart. I have also done a video to explain them and how to use them to improve your trading with the Green Arrow strategy. 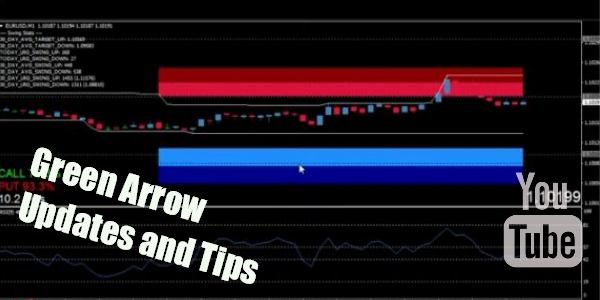 The video below has a lot of tips and 2 live trades to illustrate and hopefully help everyone make the most out of this strategy. We decided to offer the latest Green Arrow strategy at a 29% discount for the next 5 days so that anyone who is interested can take advantage of this proven strategy to trade Binary options for 5 - 15M and now since you have the zones even trading top and bottom touches or expansions of those zones for the remainder of the hour. Doing CALLS at or below the expected LOW for the remainder of the hour or PUTS at or above the expected HIGH for the remainder as an example. Everyone who has purchased the green arrow can login and download these latest updates under their account info section absolutely free of course.This is a great value and a wonderful way to get started learning to trade suitable for offshore and exchange based options up to an hour long so grab your copy at the reduced price now.